18 karat yellow gold and oval diamond engagement ring designed and created by Rebecca Overmann. The ring features an oval brilliant cut diamond that weighs 1.01 carats. The diamond is accompanied by a diamond grading report from the Gemological Institute of America, report # 2234572136 which states the diamond to be H in color and SI2 in clarity with Excellent Polish, Excellent Symmetry and No Fluorescence. 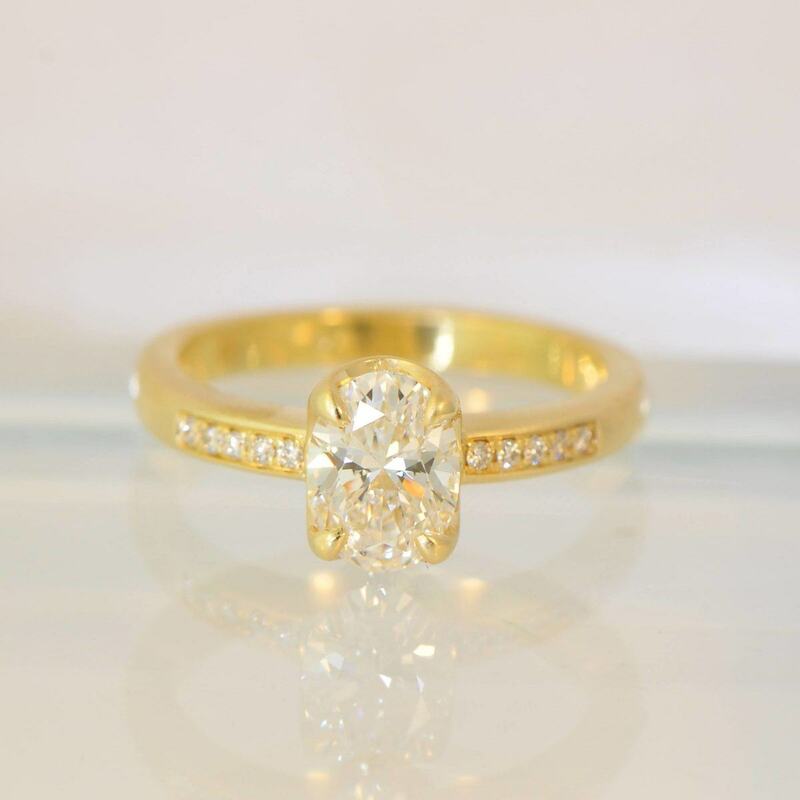 The diamond is set with four pointed tab prongs in yellow gold. The ring shank is also yellow gold and features a row of pave set round brilliant cut diamonds down the shoulders of the shank. The style number is R16003-Custom.